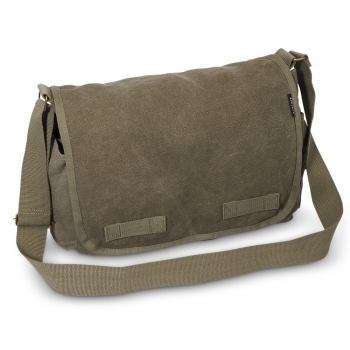 A larger version of our small canvas messenger bag. Two snap close side pockets. 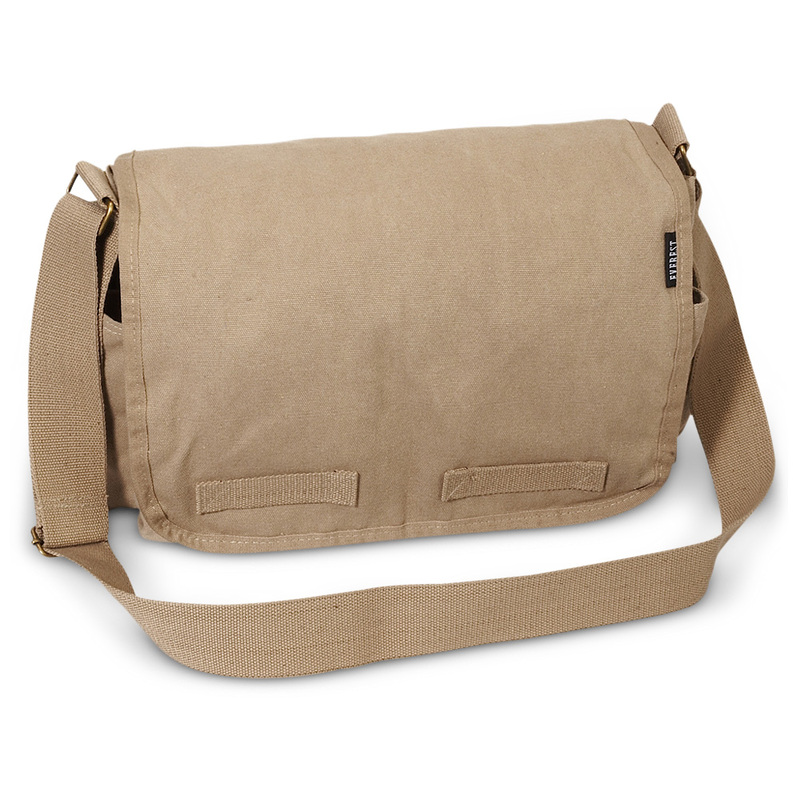 Two roomy pockets beneath the front flap. 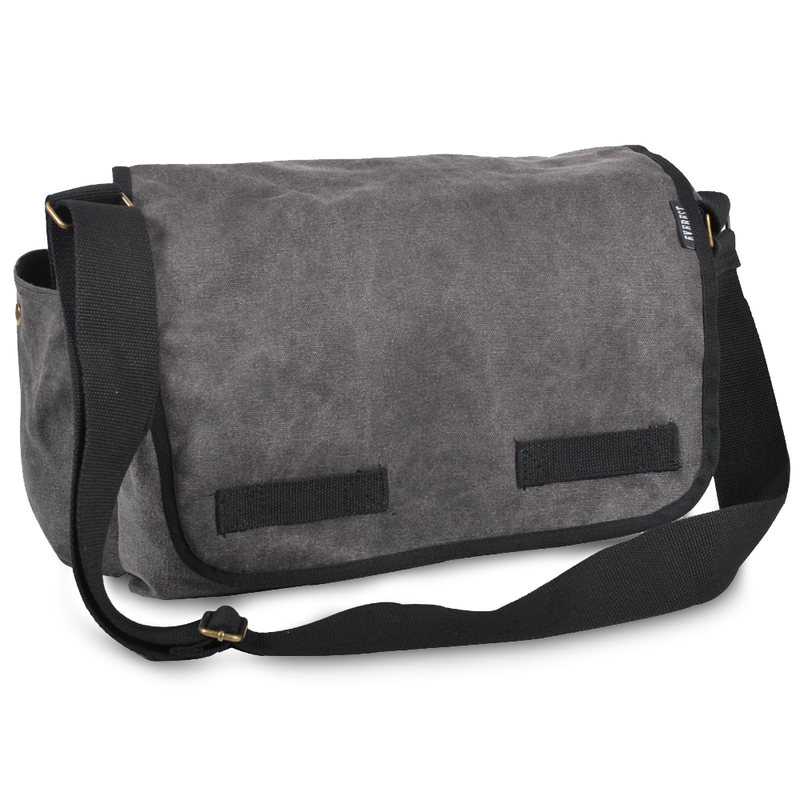 Main compartment with a zippered interior pocket.